A potent ghost story is buried under several layers of complication and explication in this highly imaginative, unfortunately labored tale from the popular author of Wicked (1995) and Confessions of an Ugly Stepsister (1999). The fantasy elements that predominate in Maguire’s work (which also includes numerous juveniles) are strongly present in the story of Winifred Rudge, a successful writer of both books for children and “a trashy self-help succès de scandale,” The Dark Side of the Zodiac, whose current work in progress is interrupted (and influenced) by intrusive paranormal phenomena. 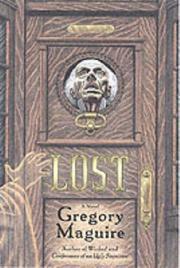 While mulling over the fictional idea of a woman writer haunted by the ghost of Jack the Ripper, Winifred travels from her home in a Boston suburb to the London “rowhouse” owned formerly by her family and currently by her “stepcousin” and soulmate John Comestor, who has unaccountably disappeared (surely he was expecting her arrival? ), leaving behind a flat occupied by two clueless workmen and (it seems) a particularly rowdy poltergeist. Perhaps this visitant is the aforementioned Ripper, or one of his female victims—or indeed the ghost of Winifred’s guilty ancestor Ozias Rudge (“the prototype for Charles Dickens’s Ebeneezer Scrooge,” as rumor has it). Winifred investigates all these possibilities, enlisting the aid of Comestor’s standoffish former mistress, a visiting American academic who specializes in medieval supernaturalism, a harried foreign-born young widow with occasional psychic powers, and a dotty downstairs tenant, cat-loving Mrs. Maddingly, who’s a virtual dead ringer for Dickens’s immortal, verbally dyslexic slattern Sairy Gamp. Things go bump in the night, the repressed details of Winifred’s past dovetail with her imaginative creations, and Maguire wraps it up with a genuinely creepy climactic ghostly confrontation. It must have been fun to throw all these semi-compatible elements together, but it’s not nearly as enjoyable for the overburdened reader. Maguire’s free-ranging, high-energy imagination is a wonder to behold—but Lost is likely to lose many readers along the way.